Remember that time someone wrote an article about the reasons why women aren’t funny? That no longer applies anywhere. Not only have female comedians been killing it with their own stand-up specials, TV series and movies that they write, produce and direct, but they have overwhelmingly proven that sexism is still rife in many areas of the industry. But it’s OK to an extent, because it has made for some very compelling and hilarious content. 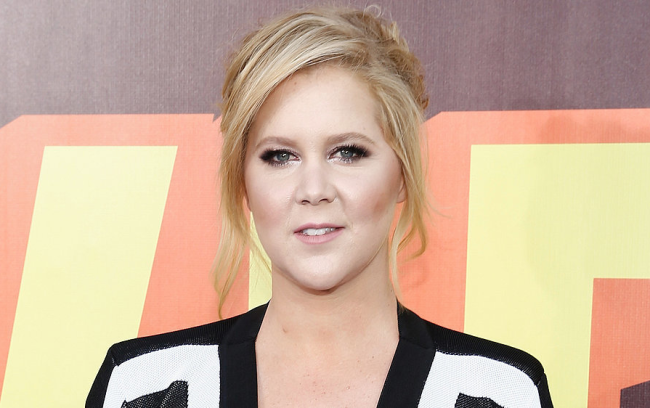 We officially nominate and are voting for Amy Schumer for president. Her Comedy Central series ‘Inside Amy Schumer’ is proving to be a huge winner in its third season. Her videos commenting on the discrimination toward women in the media, the absurdity of our culture’s obsession with big booties, and the unrealistic beauty standards placed on women are just a snippet of why we and millions more love her. Her response to the film critic who dissed her for her looks was genius and cause for celebration. Jeffrey Wells from Hollywood Elsewhere panned her film ‘Trainwreck’ where Amy stars as the love interested of two men fighting over her, saying it is highly unrealistic that a “chubby” woman like her would ever get that attention in real life. Amy’s response? “From the bottom of my heart, I couldn’t care less.” She is the one going from success to success and clearly one critic’s bitter review isn’t even a blip on her radar. Her confidence, defiant in the face of so many pressures placed on women in entertainment are a source of encouragement. Which is why we have compiled a list of our fave Amy Schumer clips to remind you of how awesome she is. There is no doubt we could find many more reasons to love on this badass comedian. We are stoked there are women out there who are proving that no topic is too tough, no demographic unreachable, and no female comedian who shouldn’t be taken seriously!